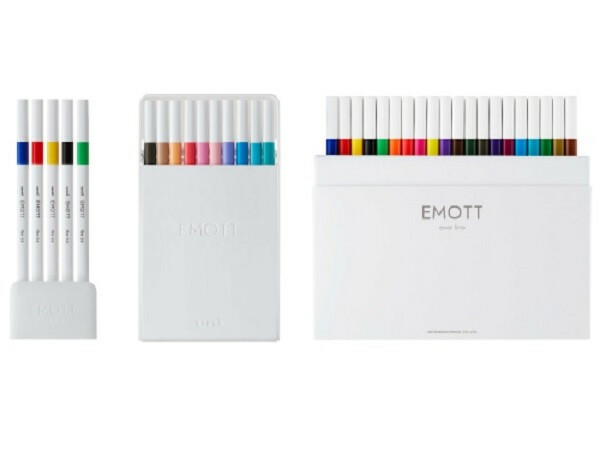 Stylish Water Base Felt-tip Pen Series "EMOTT"! 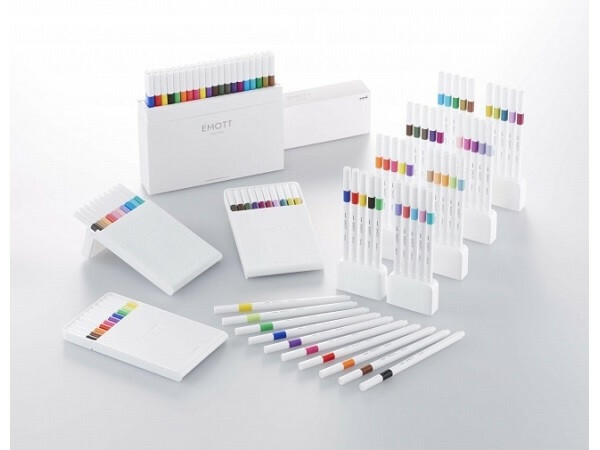 Water-based felt-tip pen series "EMOTT" which has 40 colors in 8 color groups will be released on April 19 by Mitsubishi Pencil. In recent years, the widespread of SNS has caused increasing of the opportunities for "visual communication" to express their feelings and individuality in a visible manner. Along with that, goods with good visuals are preferred more and more to show your uniqueness and individuality to people. "EMOTT" is appeared in such a trend. The item is based on white color and shows "fashionable," "good taste," and "cute". The container is stylish as well as the pens. The five-color set can be stand able with the container. Also, as the ten-color container can be self-opened itself, pens can be taken out easily. 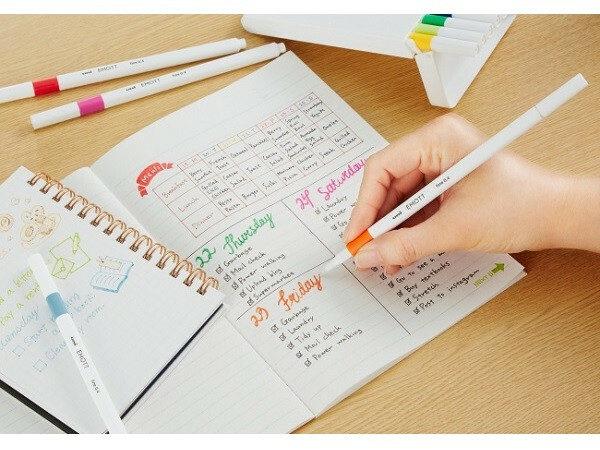 the 40-color container is a compact paper cosmetic box that can cantain the pens in two rows. 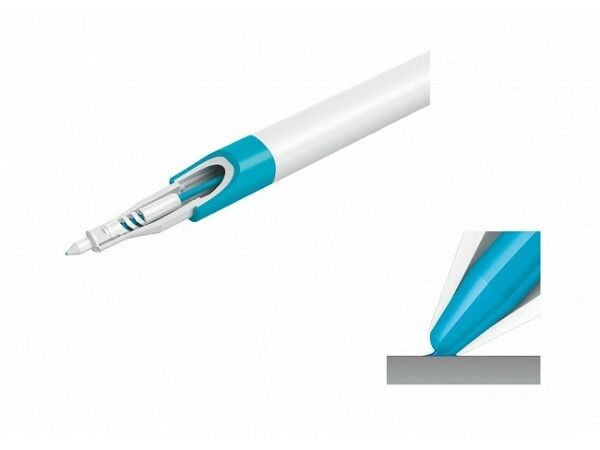 Another feature is the durable pencil lead. Standard pen lead is easy to get broken, and it cause the drawn line too thick or faint, but this "EMOTT" has newly developed durable pen lead and you can keep writing without worrying for long time. The price is 200 yen (tax excluded) per pen, 1000yen (tax excluded) for 5 color set, 2000yen (tax excluded) for 10 color set, 8000yen (tax excluded) for 40 color set. This item must be bringin up your motivation. You coulc create geogeous notebook.